Cosmonaut Mikhail Kornienko, having just return from nearly a full year in space, and two of his fellow Cosmonauts, conducted a simulated Extravehicular Activity on Mars in the continued efforts of gathering data on how the human body responds to different tasks after spending an extended period of time in Zero-Gravity. Kornienko landed on the steppe of Kazakhstan on Wednesday, returning after 340 days aboard the International Space Station, accompanied by Scott Kelly, the second one-year crew member, and Soyuz TMA-18M Commander Sergei Volkov, coming home after 182 days in space. For all three crew members, the days after landing were filled with plenty of experiments and sample collection, starting immediately after landing with a series of Field Tests. The day after his return, Mikhail Kornienko was strapped into a centrifuge at the Gagarin Cosmonaut Training Center to conduct a landing simulation on Mars in manual control mode, subjected to the typical forces of re-entry. This was the first of two “Созвездии” (Constellation) experiments focused on future Mars exploration. 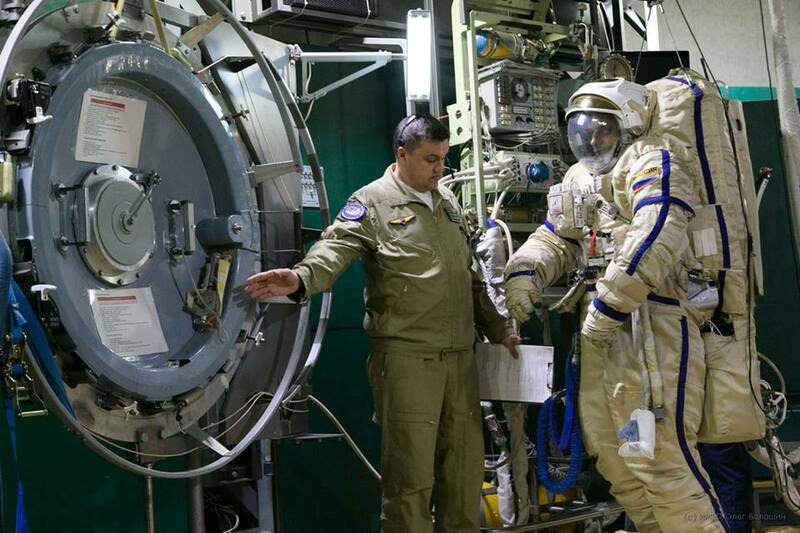 For the second experiment, conducted on Sunday, Kornienko put on an Orlan DMA Spacesuit for a simulated ‘Marswalk’ in the Выход-2 EVA simulator. The Orlan suit was suspended on lifting slings to simulate the crew member’s weight on the Martian surface and the planet’s reduced gravity of 0.38 Earth Gs. 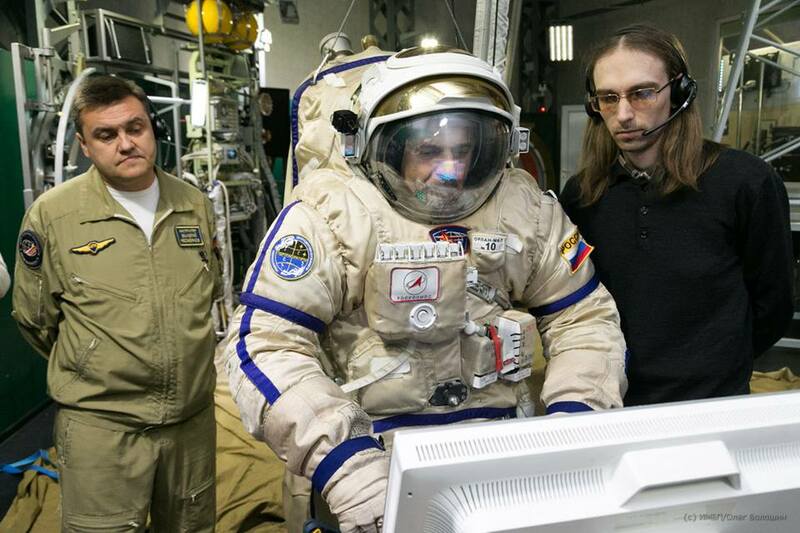 As part of the simulated EVA, Kornienko was tasked with a number of activities crew’s would be faced with when performing an excursion on the Martian surface. These tasks included opening and closing a spacecraft hatch, climbing up and down an EVA ladder, moving equipment, setting up experiments and traversing terrain including obstacles. 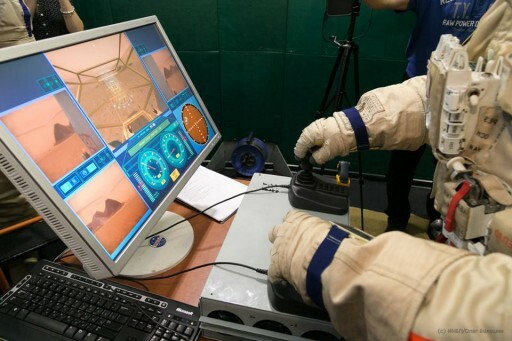 In addition to carrying out surface operations himself, Kornienko used a Virtual Reality Setup (VIRTU) to remote-control a Mars surface rover along two different paths, one over relatively flat terrain, the other down a narrow canyon with multiple obstacles. 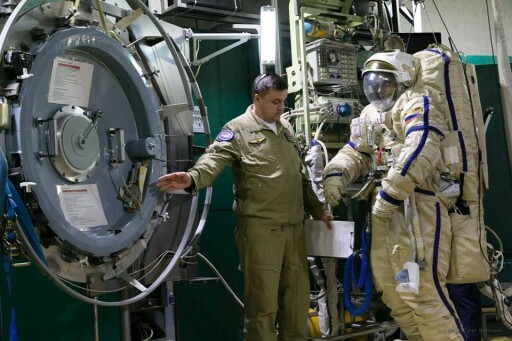 Sunday’s Experiment was also performed by Sergei Volkov and Aleksandr Misurkin to deliver data for a comparison between the abilities of crew members with no recent exposure to microgravity (Misurkin) and half a year in space (Volkov). According to a report by the Cosmonaut Training Center, Kornienko, Volkov and Misurkin were able to carry out all tasks given to them. Just after landing, the two one-year crew members appeared to be in very good condition, also owed to the countermeasures to bone and muscle loss in microgravity that have made increasing progress since the beginning of long-duration missions. Scott Kelly told reporters on Friday that he did feel the difference between his first long-duration mission of under half a year and his 340-day flight with increased soreness in all muscle groups as well as skin sensitivity giving him some discomfort when wearing tight clothes, sitting or laying down since his body rarely touched anything when floating in space. 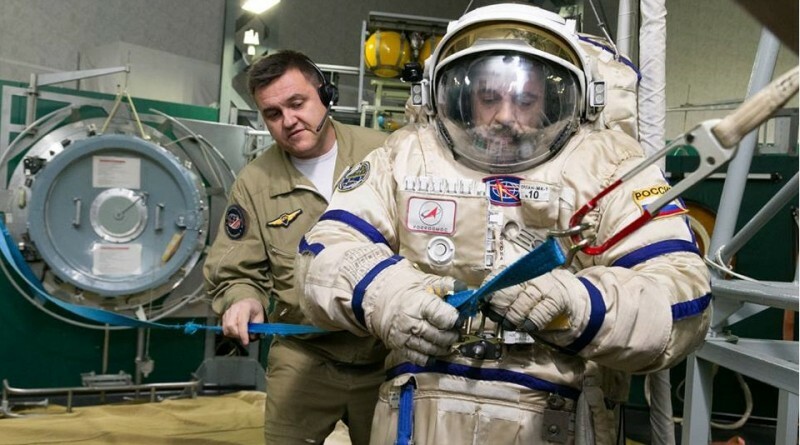 Crew members aboard ISS are exercising 2.5 hours per day to maintain muscle mass and physical fitness for their return to gravity as degradation of the cardiovascular system is a big challenge in addition to bone loss. 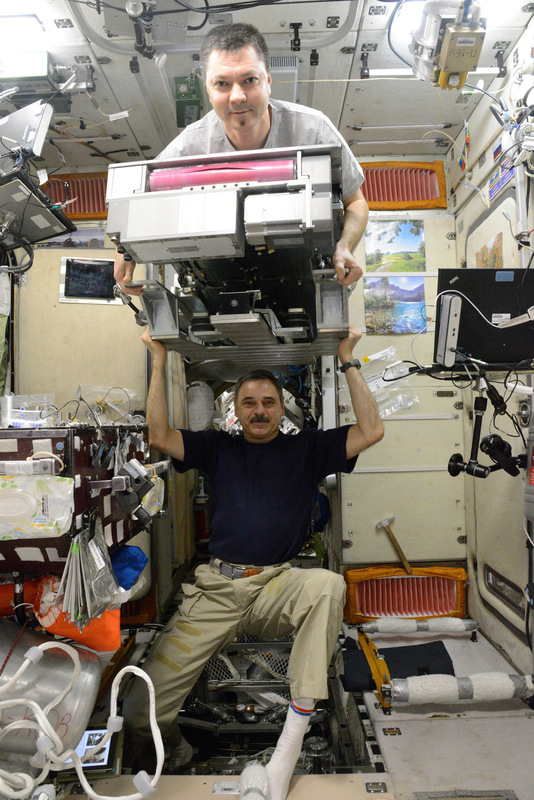 Usually, a daily exercise session aboard ISS consists of one block of cardiovascular exercise and another block of muscle-loading/conditioning for a total of 2.5 hours using the Station’s treadmills, cycle ergometer and Advanced Resisitive Exercise Device. Its symptoms include headache, fatigue, altered vision, weakness, sensation of difficulty breathing, and heart palpitations as a result of the falling blood pressure. 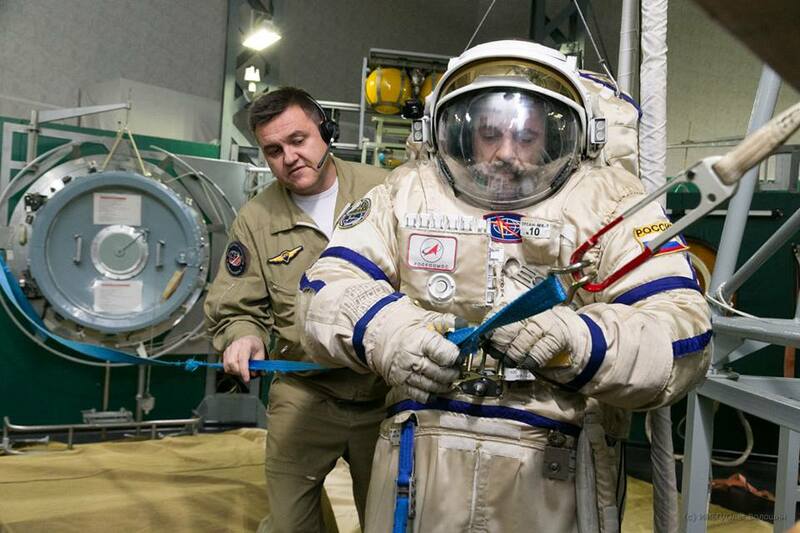 For the return to Earth, Soyuz crew members wear a Kentavr suit that is a corset-like garment consisting of shorts, gaiters, underpants, jersey and socks. The suit is a countermeasure for circulatory disturbance and increases orthostatic tolerance for the immediate post-landing adaptation to gravity.